Following an anterior cruciate ligament (ACL) injury, patients are often reassured that timely surgery followed by intensive physiotherapy will “fix their knee”. Not only does this message create a false perception of uncomplicated return to sport (RTS), it also ignores the large body of evidence demonstrating a high RTS re-injury rate following ACL reconstruction. 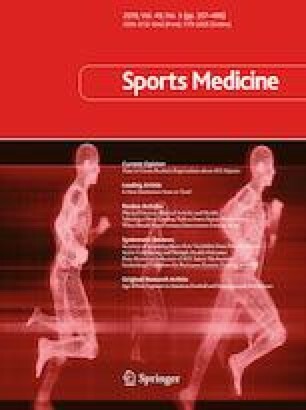 In this article, we propose an individualised approach to the management of ACL injuries that targets a shift away from early surgery and towards conservative management, with surgery ‘as needed’ and rehabilitation tailored to the patient’s RTS goals. Education on the natural history of ACL injuries will ensure patients are not misguided into thinking surgery and intensive rehabilitation guarantees great outcomes. Further, understanding that conservative management is not inferior to surgery—and not more likely to cause knee osteoarthritis—will help the patient make an informed decision. For patients who opt for surgical management, rehabilitation must target strength and functional performance, avoid rapid increases in training load, and be guided by an RTS timeframe that is no shorter than 9 months. The content of rehabilitation should be similar for patients who opt for non-operative management, although the RTS timeframe will likely be shorter. All patients should receive education on the relationship between injury risk and training load, and understand that a home-exercise program is not inferior to intensive physiotherapist-led exercise. Joshua Zadro and Evangelos Pappas declare that they have no conflicts of interest relevant to the content of this article.